Instagram users will have noticed that their posts aren’t being seen by as many people as when our feeds were in chronological order. The reason for this being is that Instagram now promotes more “enjoyable” content, instead of just what’s new. How do they determine what’s most enjoyable? When you upload a new post, it is only shown to a small percentage of your followers. The Instagram algorithm measures how quickly and how often this group engages (likes, comments, shares and bookmarks) with your post. It then compares the engagement on your new post with that of your older ones posted at a similar time. Instagram limits the visibility of your new post if the engagement is below average. It prevents your post from being shown to all of your followers and pushing it further down their feed because it is considered “less enjoyable”. If the engagement on your post is higher than average, they share it with more people increasing the likelihood of being higher in people’s feeds & on the explore page. 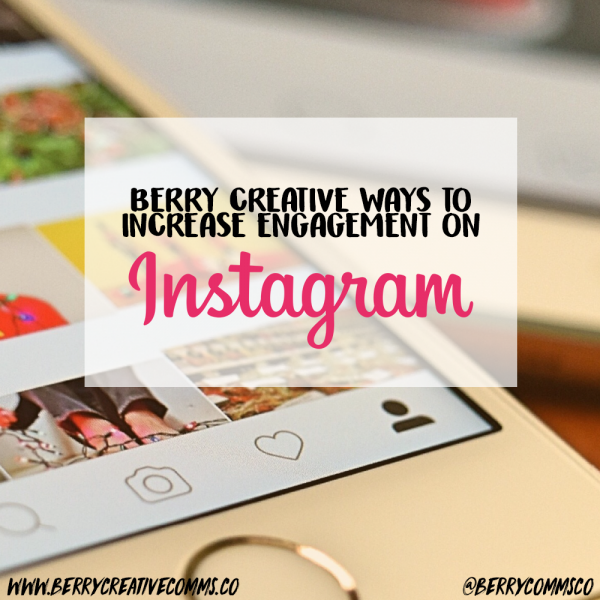 Below are some actionable tips for you to organically increase the engagement on your Instagram page. Don’t just post for posting sake. All posts should be carefully planned as we now know the detrimental effects the algorithm can have on your posts’ exposure. Find out more about your target audience. What type of images are they double tapping on? What accounts and hashtags are they following? When are they most active? Generally the best times to post are 7 – 8 am in the morning (people like to scroll through their feed during the morning commute); 12:30 – 2pm (lunchtime) and then 6 – 8pm in the evening. Again these are just general suggestions. The best times might vary depending on your target audience. For example students may be active on Instagram from as early as 4 pm. Post regularly; at least 4 times a week. Start using stories and live streams. This sends notifications to your followers and Instagram boosts your live stream to the top of the app. Join or create a POD. Similar to decks on twitter. Competitions in relation to your content or business. Make use of hashtags on all your posts. You can use up to 30 of them! Also, people can now follow hashtags. So it may help to tell your audience to follow a special hashtag you’ve made for yourself as well as hashtags people might already be following. Comment on other people’s posts. GaryVee suggested spending 10 minutes a day doing this to authentically grow your followers and engagement on your Instagram by becoming a part of the community. Watch the video here.